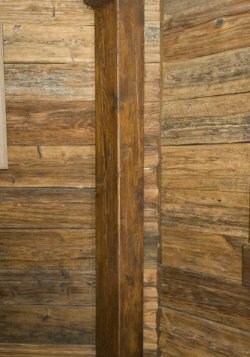 The Ebricks.com Wood Paneling guide offers information about companies such as Morningside Reclaimed Woods and Viridian Reclaimed Wood Products. 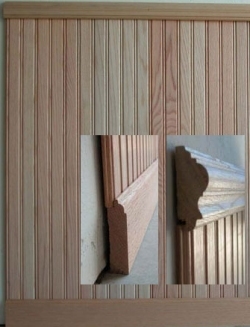 Manufacturer and importer of bamboo and palm flooring, bamboo plywood and bamboo veneer products for residential use. Louisiana company company with a long history in the lumber business recovers old growth cypress and longleaf pine from lakes, rivers and buildings and remills it into flooring, dimensional lumber and other products. Company actively seeks wood to be reclaimed from old buildings. For four decades, this family business has been turning wood from antique barns into flooring, siding, cabinetry, paneling, beams, posts and mantels. Custom milled species include chestnut, heart pine, cedar and oak. Also available is other barn salvage including foundation stones and tin roofs. A supplier of reclaimed, recycled and salvaged wood throughout the East Coast, this company specializes in re-milled antique flooring and paneling. Eco-friendly reclaimed wood flooring, veneers, panelings, tables & counters. This company specializes specialize in manufacturing of antique lumber into solid & engineered wood flooring; hand-hewn beams; box beams, custom millwork, mantels and paneling. This company's wall panel paneling systems use standard sizes of wood veneered panels and machined rails and stiles to create affordable installations in six classical architectural styles. Custom maker of shutters and doors constructed from hand-selected premium woods. The company uses old fashioned mortise and tenon joinery, and tenons are double-pegged (no nails) for strength. Online sales of all products. Manufacturer & direct-seller of log siding and knotty pine paneling, as well as paneling, trim stock, flooring, beams and custom millwork. Site includes current price lists for products. This Massachusetts mill specializes in Eastern White Pine flooring, with boards avaiable in widths up to 28" (yes, 28 inches). Wide boards like these are usually no longer than 12'. The company also offers wide oak flooring, paneling and wainscoting. Custom millwork, molding, doors, wall panels, and wine storage systems. Manufacturer & retailer of log siding, knotty pine paneling, log stairs and railings, peeled logs, knotty pine doors and similar products. Site includes product data sheets, PDF catalogs of offerings, and ordering info. Offering a selection that exceeds 1,200 moulding profiles and products, Copper Beech concentrates on serving millwork needs of New England contractors and homeowners. Its site lists its offerings - and includes pricing info, too. This Pennsylvania company recycles old, "destined-for-the-dump" barn wood into kiln-dried, precision-milled, wide-plank flooring, paneling, and mouldings. It also sells high-end flooring made from new wood. Preserving the lost art of fine wood paneling, hand-carved wood mantels, moldings and ornaments with extra attention to detail. All pieces are available in custom sizes as well as in woods such as walnut, mahogany, cherry, oak and maple. Manufacturer of tongue-and-groove half-log siding that can be used to side a conventionally framed house. Also: wood paneling and flooring to complete the "log house" look. Offering deliveries nationwide, Buffalo Lumber sells scores of varieties of wood siding, flooring, paneling and finish lumber. Formerly known as Karl's Cedar Shingles, this company is one of the Midwest's largest distributors of cedar shingles and paneling - including custom fancy shingles and bevel siding. The company manufacturers many of its own specialty products. Shipping is offered throughout the U.S., though most of the firm's business is in the Midwest. Based in New Hampshire, Carlisle has been offering both newly milled and reclaimed flooring since the 1960s. Salvaged wood emerges from coal mines as home siding and paneling. Red oak and maple beadboard installs as a system.